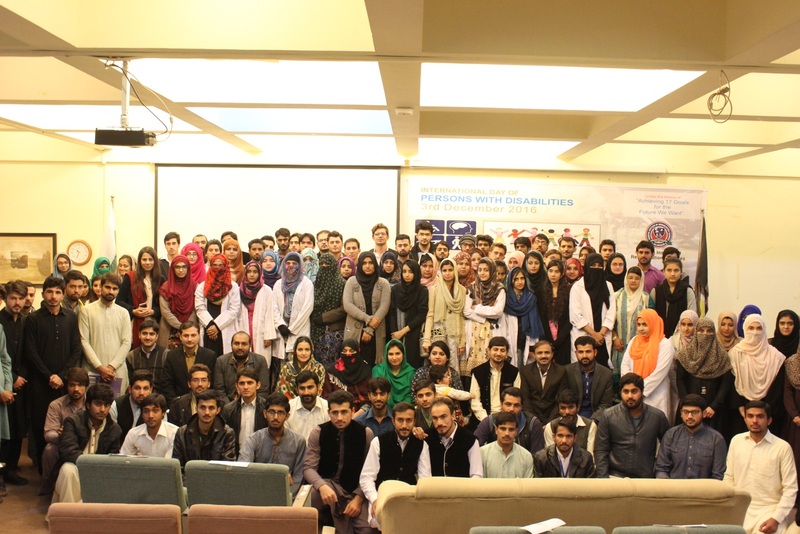 Disability Day was Observed at PIRS on 3rd December 2016.
International Day of Persons with Disabilities 2016 was observed with full commitment & great enthusiasm at Pakistan Institute of Rehabilitation Sciences (PIRS) at Hasnain Auditorium, Isra University Islamabad Campus on 3rd December 2016. 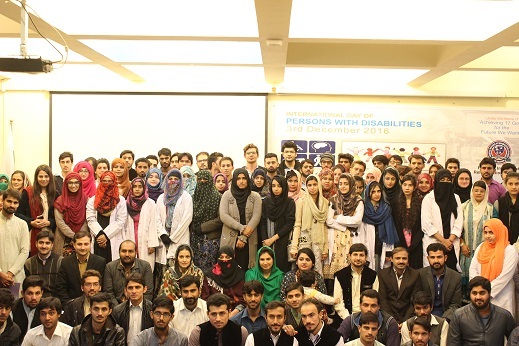 Awareness session was held at the campus where faculty given an overview about International Day of Persons with Disabilities and its importance towards an inclusive society to benefit all, especially those who are suffering from any sort of disability. 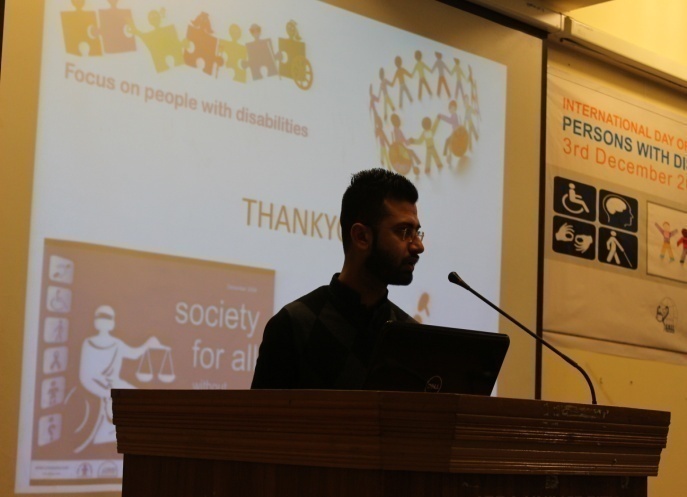 Students gave presentations regarding the accessibility, inclusion and needs & rights of persons with disability. Seminar was followed by an Awareness walk in the adjacent area where students distributed reading materials and talked about the need of acceptance, inclusion and equal share of life for the persons with disabilities. 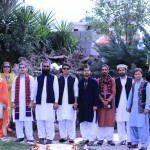 Purpose of Observing International Day of Persons with Disabilities 2016 in PIRS was to create awareness among st the students of PIRS, to help break down the disability barriers and celebrate diverse abilities. 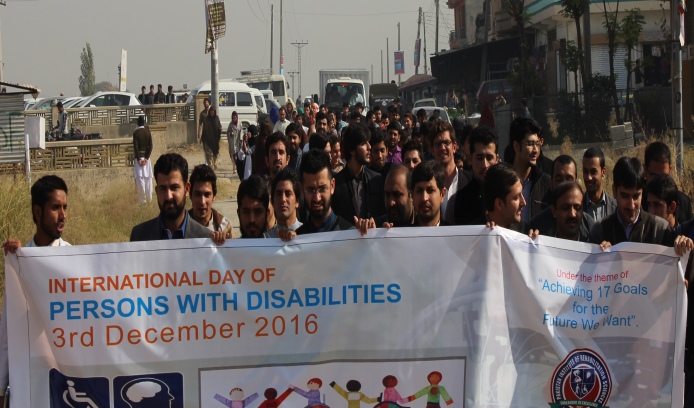 International Day of persons with disabilities was observed the UN Theme of “Achieving the 17 Goals for the Future we want” for the year 2016. We conducted the following activities on the occasion of International Day of Persons with Disabilities 2016. 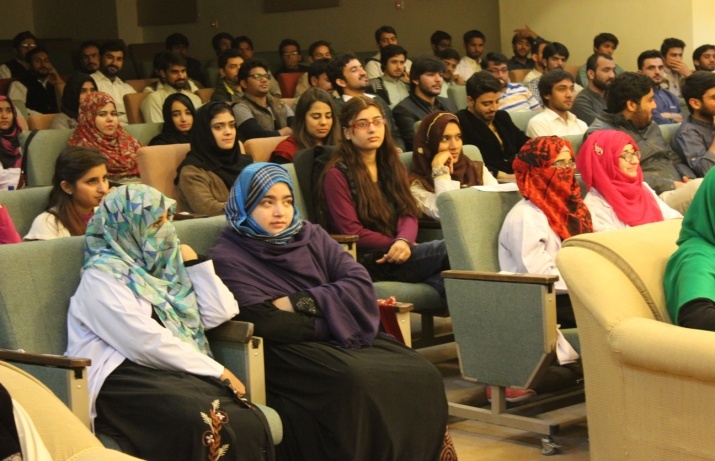 Awareness Seminar was conducted at Hasnain Auditorium of Isra University Islamabad Campus to focus students of PIRS in particular & Isra University in general. Importance of Inclusive Society is the need of today’s world where to give equal opportunities to the people living in this world with diverse abilities. 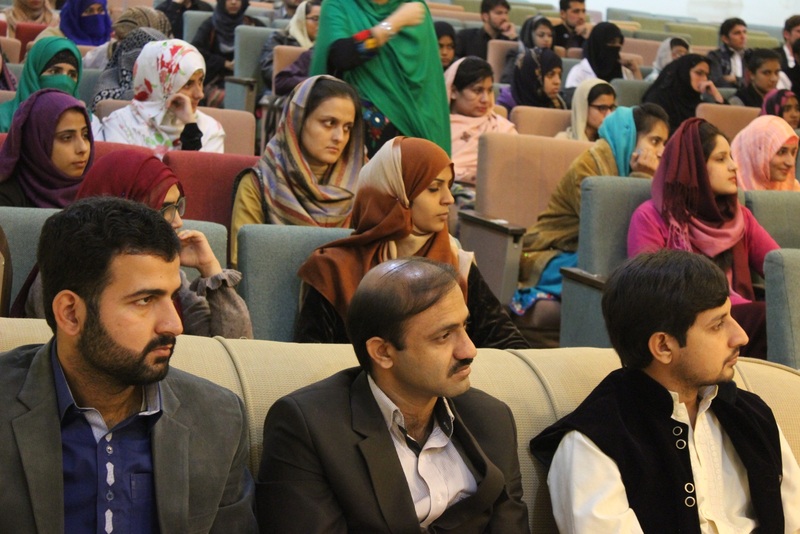 Mr. Ahmed Raza (Faculty-PIRS) highlighted the importance of creating awareness among the individuals & the society to remove the barriers and give possible solutions. 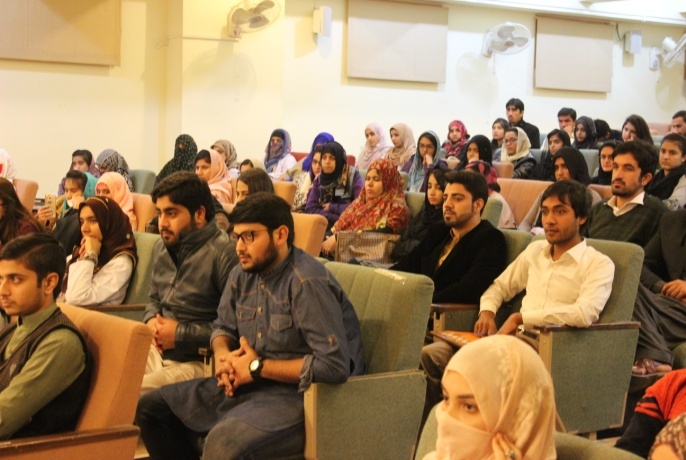 Students of Vision Sciences presented their speeches regarding International Day of Persons with Disabilities. 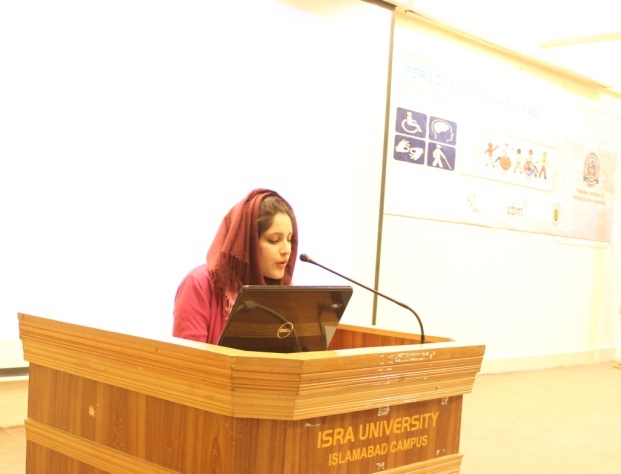 Ms. Faryal Farooq (5th Semester Student Vision Sciences) discussed on the “Issues faced by persons with disabilities” and it’s unlikely results which are a problem not only in our communities but also in other countries of the world. 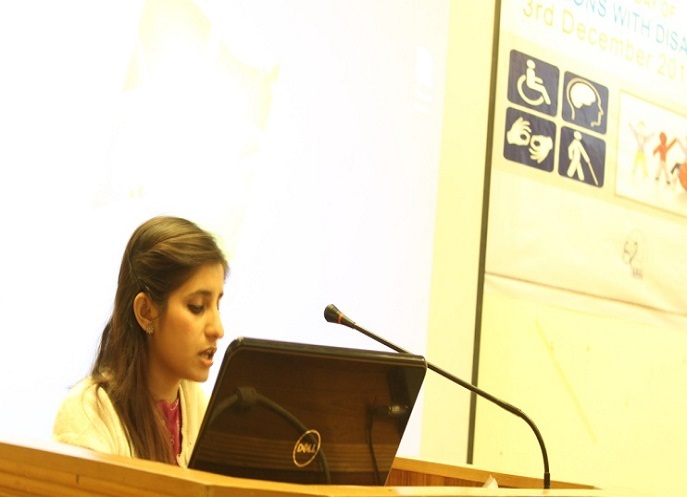 Ms. Rimsha Naveed (5th Semester Student Vision Sciences) presented her speech on “Abilities rather than Disabilities”. 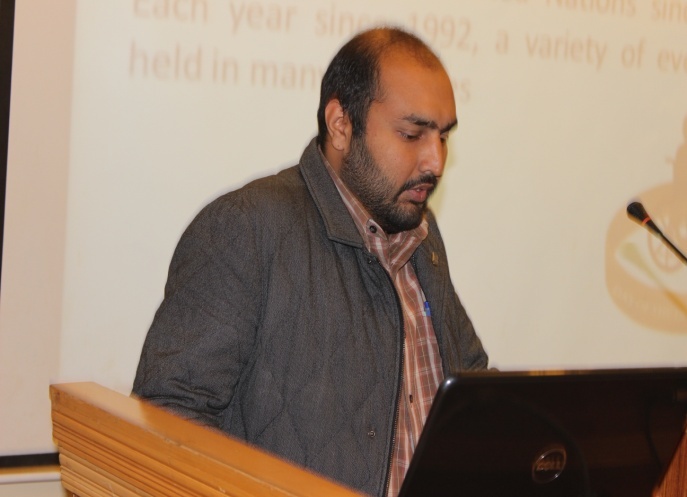 Mr. Zubair Wahab(7th Semester Student Vision Sciences) presented the beautiful concept of “society for all”. Some of the students made posters regarding this day to share important messages regarding International Day of Persons with Disabilities and were displayed in the Auditorium so that to be seen by the audience and take away these messages with themselves. Mr. Qasim (Faculty – PIRS) shared an inspiring video of Mr. Nick Vujicic on how he handled his depressive life towards an inspiring life and changed the shape of disability into abilities. Purpose of this video was to encourage students to uphill their potentials and to answer the questions on how to overcome barriers in life and live a successful life. 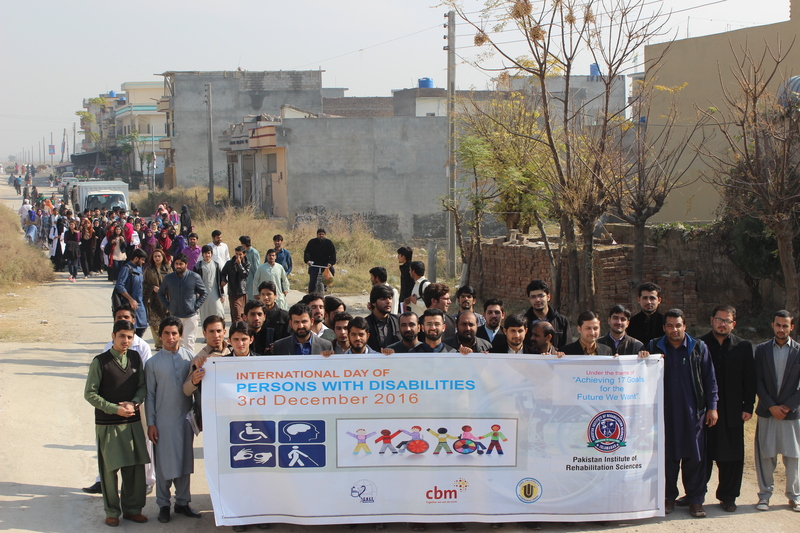 Awareness walk was carried out by the students in the community situated nearby Isra University Islamabad Campus premises led by faculty members to help raise awareness among the community around, participants talked about the good health and healthy attitude towards the persons with disability. On the occasion of this important day, we also distributed some books for the students of 5th to 7th grade students at Special Education School, Sultana Foundation. Books consist of the inspirational stories of muslim philosophers/scientists and life of few prophets who face all the problems but succeed in life due to their determination and faith. Purpose of these book distribution was not only to help the students to increase their knowledge by reading that books but also to encourage these students to carry out their studies and thus make them a productive citizens to serve their communities and thus ensure an inclusive society. 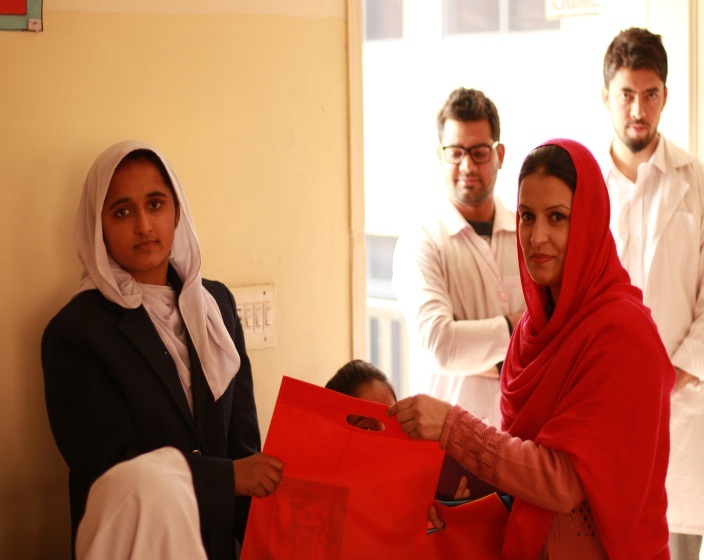 Pakistan Institute of Rehabilitation Sciences (PIRS) Isra University Islamabad Campus acknowledges the continued support of CHEF International &Christoffel Blind Mission (CBM) International for their continued financial support& making us able to observe such important days at PIRS. Team conducted community based eye health survey Team leader Muhammad Faisal Students of 5th and 6th semester of PIRS, ISRA University Tools for recording data Self designed Performa Equipments used in survey 1. Ophthalmoscope 2. Retionoscope 3.